A small backpack that makes a stylish statement. 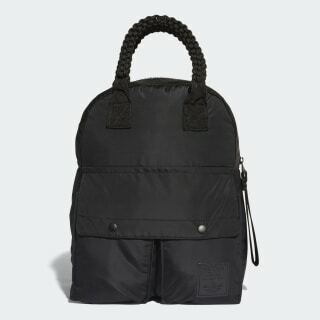 With a mix of street and sport influences, this compact backpack has stylish appeal. 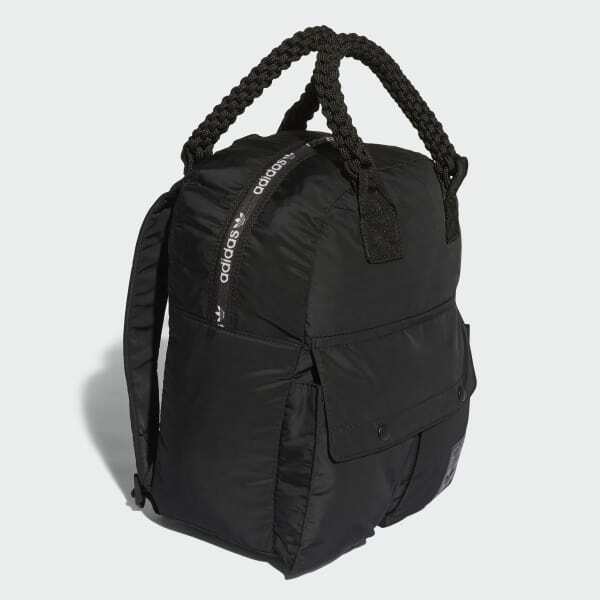 Braided carry handles and an oversize zipper pull add a chic touch to the sporty nylon build. Front snap pockets and strong adidas branding finish the look.